Local cotton exports are likely to be affected and cotton prices may go up following damage to the crops due to flash floods and heavy rains this monsoon season. 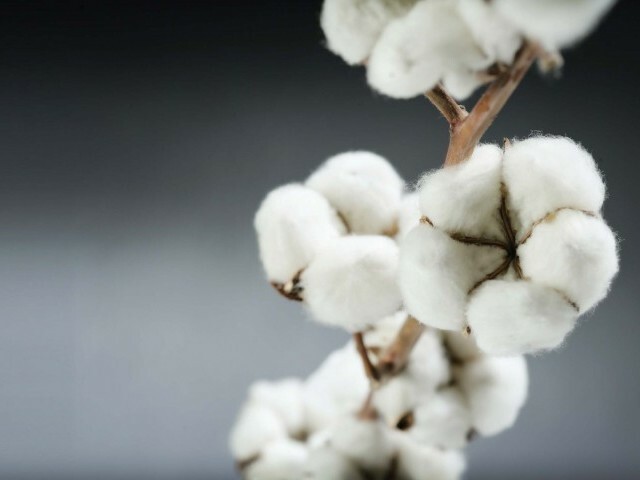 �In case floods and rain damage the (cotton) crop, exports will be affected and accordingly cotton prices in the local market are expected to go up,� Ihsanul Haq former executive member of Pakistan Cotton Ginners Association (PCGA) said. Cotton export season has begun to China, Taiwan, Philippines, Bangladesh and Thailand in addition to ongoing exports to India, Vietnam and Indonesia. He said that a rise in dollar relative to the rupee had further boosted the export trend resulting in strengthening of cotton prices in Pakistan. From July 1 to August 15, the Trade Development Authority of Pakistan registered export orders of 63,000 cotton bales, among which major export registration was from Taiwan at 21,334 bales, Vietnam ordered 12,327 bales, India 7,300 bales, Indonesia 6,600 bales, Bangladesh 4,880 bales and China ordered 10,000 bales. �Pakistan�s textile mills, too, have accelerated cotton buying keeping in view the meteorological department�s expectations of more rainfall in September compared to last year, and due to rise in dollar rates cotton prices have increased by Rs300 to Rs400 per maund during the last week with prices touching Rs7,100 per maund, whereas Karachi Cotton Association spot rate was Rs6,850 per maund,� Haq added.